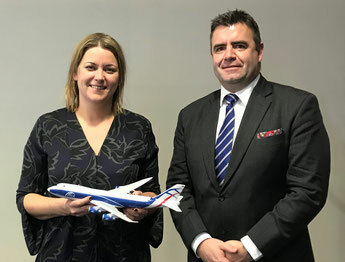 Senior managers from London Stansted-based CargoLogicAir (CLA) met up recently with the UK Aviation Minister, Baroness Sugg to confirm the carrier’s commitment to the UK’s forward-looking position on aviation matters. During the get-together the CLA team informed Baroness Sugg on how they see the airline’s expanding network as being of benefit to UK companies. They stressed that this is especially noticeable in their support of the oil & gas, pharmaceutical, automotive, high-tech and aerospace industries. CargoLogicAir also emphasized in the meeting their contribution for the ever growing demand for air cargo capacity, especially for the e-commerce market. CLA’s managers, headed by their new CEO, David Kerr, told the aviation minister that they support the UK government’s position to consider continuing the UK’s longstanding membership in the European Aviation Safety Agency (EASA). The airline now employs around 200 staff in the UK and operates to destinations in the USA, Mexico, Hong Kong, Tel Aviv (via FRA) and Dubai with their fleet of three Boeing 747 freighters. In other news, CLA’s mother company, Volga-Dnepr Group has announced that Tony Bauckham has joined Volga-Dnepr UK as Commercial Director. Mr Bauckham has been in the air cargo business for many years and had already worked for Volga-Dnepr between 2004 and 2007. 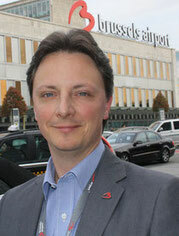 He previously spent eight years as MD with UK based Air Charter Service. At this year’s World Cargo Symposium in Dallas, Texas, IATA and Pharma.Aero signed a Memorandum of Understanding (MOU) aimed at creating a larger international platform for Pharma.Aero’s future projects and initiatives in the life science airfreight sector. Pharma.Aero chairman, Nathan De Valck, sees this as an important milestone for his organization. He stated: “The MOU underlines our vision to foster collaboration with all cargo stakeholders that support the CEIV pharma industry standard.” IATA and Pharma.Aero have been working closely together during the past months and the MOU is seen as being a formalization of this collaboration. The digital approach in managing IATA Dangerous Goods Declarations (DGD) seems to be taking shape in the air cargo industry. Lufthansa Cargo see themselves as a major driver for the standardization of the eDGD process. In order to push this further ahead LH Cargo has joined with Hamburg, Germany-headquartered IT-provider Dakosky to implement the eDGD platform which has been dubbed as “Infr8-eDGD“ and is seen as being a dangerous goods platform for shippers and forwarders. 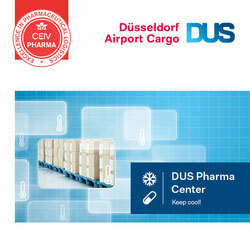 The carrier announced that the new platform will be the basis for the eDGD process supported by Lufthansa Cargo. The eDGD is a modern data sharing approach which uses supply chain community platforms and is fully compliant with the current IATA Dangerous goods regulations. Lufthansa Cargo, along with Swiss WorldCargo, Air France and CargoLogicAir, has been a major driver in pushing for the standardization of eDGD. The Franco-Dutch Air France, KLM, Martinair Cargo organization has published their summer air cargo schedule which includes various new destination within their combined network. The carriers will this summer offer over 1,100 weekly services to 116 global destinations from their Amsterdam and Paris Charles de Gaulle (CDG) hubs. New cargo destinations from CDG include Taipei, Nairobi, Seattle and San Jose, Costa Rica with B787 and B777 equipment. Air France’s new low cost carrier, JOON, will also offer cargo capacity on their A340 passenger flights to the Seychelles and Brazil (Fortaleza). KLM will also operate a new passenger service to Fortaleza along with increased flights to New York, JFK and reinstate their Mumbai operations. 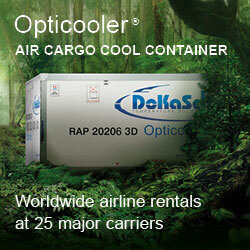 Frankfurt Airport has welcomed an additional cargo airline. China Cargo Airlines, a subsidiary of China Eastern and which is China’s first international cargo only carrier, has commenced twice-weekly Boeing 777 freighter services between Shanghai-Pudong and Frankfurt. The B777F which can carry around 105 tonnes of cargo will operate on Wednesdays and Sundays. The carrier is presently negotiating with the German aviation authorities (LBA) for additional traffic rights. Once, and if these are obtained, China Cargo plans to increase their all-cargo flights to FRA. China Eastern recently handed over the handling and sales of all of their cargo operations to China Cargo. Cargo handling in FRA is in the hands of Frankfurt Cargo Services (FCS), a joint venture set-up between Worldwide Cargo Services (WFS) and Fraport. China Cargo Airlines in the meantime operates with six B777Fs and three B747-400F aircraft. 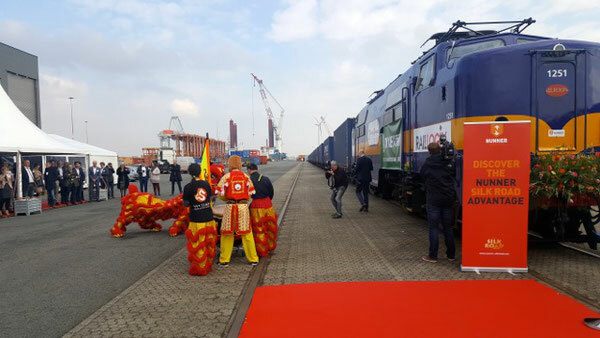 A new Silk Road container rail service has commenced between Amsterdam and Yiwu in China. The service which was launched by Nunner Logistics started this month from Amsterdam’s Container Terminal (ACT) and on its 11,000 kilometer journey to Yiwu passes through Germany, Poland, Belarus, Russia and Kazakhstan. The journey takes 16 days in total and the first train was loaded with a variety of Dutch-made machinery, pharmaceuticals, chemicals, mineral fuels and technical equipment. Terminal and logistics support for the new service is in the hands of TMA Logistics which is a joint venture between the ACT owner, TMA Holdings and Hutchinson Ports. The ACT offers also intermodal connections by road, barge and sea lanes. Boeing announced on March 23rd that All Nippon Airways (ANA) has placed an order for two Boeing 777 freighters. This is the first time that a Japanese airline has ordered the Triple Seven cargo version. The deal is valued at US$678 million at today’s list price for the aircraft. The 777Fs will be used by ANA to complement their present fleet of around 12 B767 freighters and the carrier has said that the new aircraft will mainly be deployed on international routes in Asia, China and North America. All Nippon Airways are no stranger to the B777 aircraft. They operate almost 50 of the type in various passenger configurations on routes across the globe. The decision to order the B777F was made due to the continued growth and demand within the region for cargo capacity. After having being banned by UK aviation authorities from moving cargo between Bangladesh and the United Kingdom (CargoForwarder Global reported), Dhaka-based Biman Bangladesh Airlines resumed cargo transport again as of March 14. The ban was put into place in March 2016 after a UK Department of Transport security audit came up with serious concerns on cargo screening procedures at Dhaka International Airport. These have presumably been rectified and the carrier received its necessary ACC3 certificate as well as the RA-3 certificate as safe cargo handling agent. A new Exclusive Detector System (UDS) and Explosive Trace Detectors (EDT) have been installed at Dhaka Airport as well as the use of an Explosive Detector Dog (EDD).